These really are beautiful, Boyd. The softness of the wool also appeal to me. Mouthwatering, Boyd. The colors are keen. Gorgeous!!!! I love the colors. 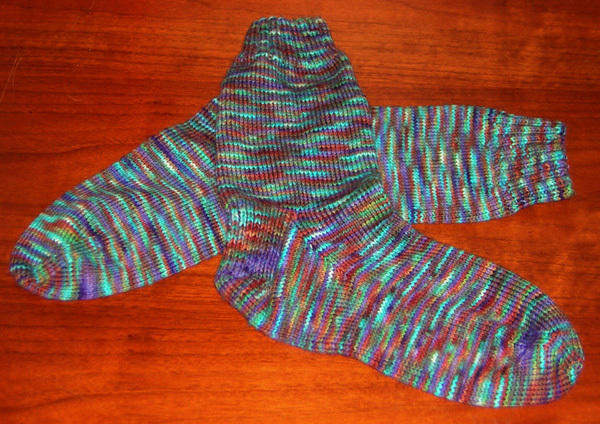 I’m almost done with my second pair. I had to be in the neighborhood of Needlework Unlimited today and guess what — yes, two more skeins of wonderful sock yarn in my growing stash. Help me God!